Baja SAE is a part of the Collegiate Design Series (CDS) hosted by the Society of Automotive Engineers (SAE). 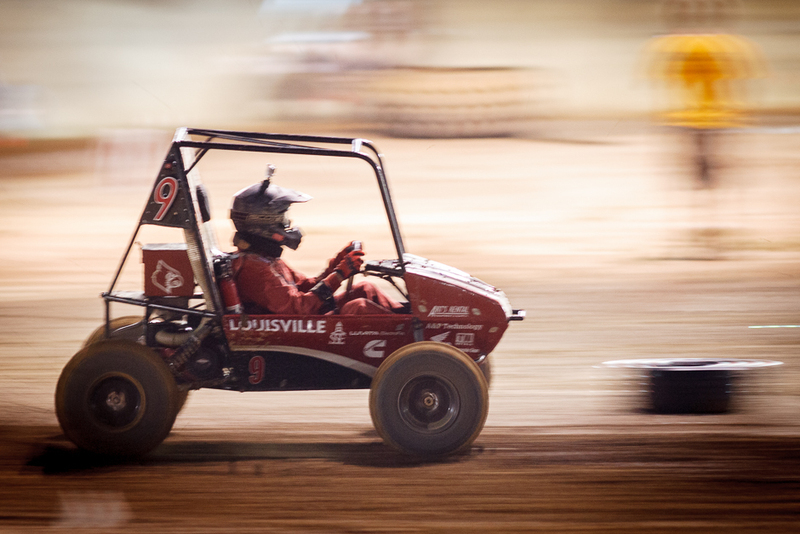 Each year, students from hundreds of colleges and universities worldwide design, test, build, and race a single seat, off road race car capable of withstanding the rigors of severe punishments and harsh terrain. Baja SAE is a tangible and challenge way for students to apply the knowledge gained throughout out their college careers, further enhancing their college educations. In addition to engineering a car that is required to be built around an un-modified Briggs and Stratton 10 HP engine, each team develops their skills in project management, teamwork, marketing, and more. Teams must recruit new members every year, generate funding for the project by gaining sponsors, and develop a project schedule that will allow the team to complete the vehicle in time to test the vehicle before competing.